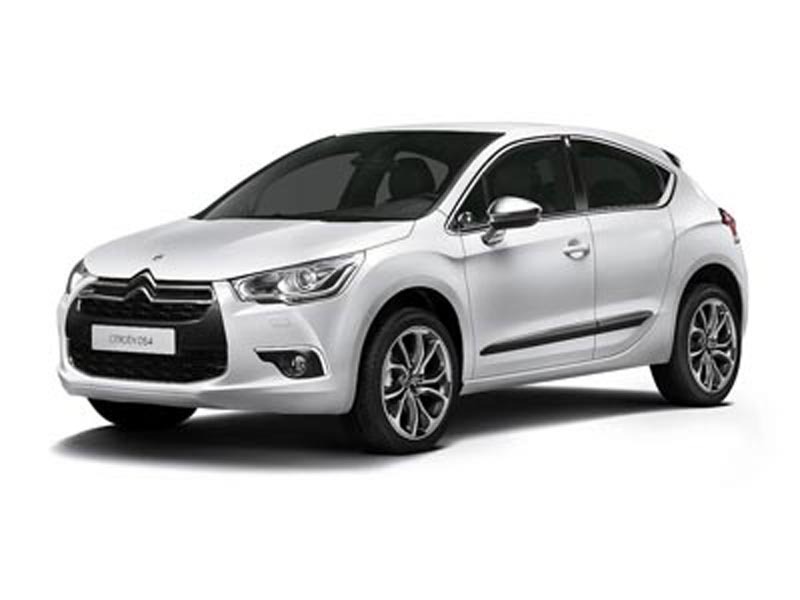 Home» Road Tests » Citroen DS4 Contract Hire & Leasing Review. So What Do You Drive? A Citroën, a DS or a Compromise? We’ve always liked Citroën product and in recent years, they’ve just got better and better, but frankly, that’s not been translated into the sales that the French car maker might have hoped for, so could a change of direction improve Citroën’s fortunes or at the very least, help them achieve more than just 70% of what its feline sibling Peugeot achieved in the same period. Everyone knows the Citroën brand and the chevrons that adorn the car are instantly recognised as the Citroën trade mark. But what about the letters DS, do they mean anything to you? Possibly not, but if Citroën have their way, they will in future. If you are into classic cars (or maybe, were just around back then), you’re going to know that Citroën produced a range of cars called DS which ran from 1955 to 1975. They were elegant, innovative and very futuristically designed and Citroën sold something like 1.5 million of them over a 20 year production run. Today, these old DS models are mega collectable and considered by many to be some of the most beautiful cars ever built. Now we’ve been told by an insider at Citroën that it’s their intention in the future to set the brand apart from others, particularly their sibling Peugeot by producing only specialist product, all of which will be called DS and whilst the chevrons will still figure on the cars bodywork, the wording Citroën wont be, with the aim that when anyone who drives one is asked “what do you drive” they simply reply “a DS”. Sounds off the wall doesn’t it, but never the less, the first DS vehicles are out there, beginning with the DS3, which we tested and loved and the car was universally praised, with even Top Gear magazine declaring it their car of the year. The DS5 is about to be launched, and that will be followed by the DS1, but today’s test car is the recently launched DS4, a car described by Citroën as a “crossbreed” but one that’s “mischievous and able to dominate” (what are their press guys drinking?). So what is the DS4? Well it’s based on Citroëns normal C4 hatch, which I guess would be considered to be competition for the likes of Ford Focus, Vauxhall Astra, Peugeot 308 and other similar cars. The DS4 however looks very different; it’s shorter, wider and taller than the normal C4 and gets a higher driving position and a higher ride height like similar to what you might find in a crossover or suv. In terms of styling, there is a “coupe” thing going on with hidden rear doors and a sloping roofline whilst in terms of practicality, it’s also a decent sized 5 door family hatch, so you could say its 3 cars in-one, or perhaps that the DS4 is just a series of compromises and simply does not know what it wants to be and is just trying to please everyone? What ever the answer to that, there is no denying the DS4 is a pretty enough thing. Our test car was a top of the range 160bhp DSport version in metallic black, fitted with the some of moodiest 19” alloys you could imagine and with its dark tinted glass, daytime LED running lights and chrome accents, our DS4 was without question, “a bit of a looker” and indeed, at the recent International Automobile Festival, they voted the DS4 as the “Most Beautiful Car of the Year”, whilst German car magazine Auto Bild gave the DS4 its 2011 Design Award (don’t forget we are talking German magazine & French car) which highlights how impressive the DS4 styling is to people who know a thing or two. Inside our DS4 the car had leather trim and the high quality materials didn’t stop there as even the plastic bits oozed quality and were “touchy feely” nice and hopping into the drivers seat it seemed like one of those seats that F1 drivers get specially done for themselves as it was instantly comfortable and like Goldilocks porridge, just right for everyone who tried the car. The DS4’s dashboard with its chrome detailing and chrome bits on the air-vents, supported that quality feel even further and little touches like the aluminium pedals, ambient lighting and cool embossed leather door handles all made you think that Citroen had taken a long time over planning this car. However, the strengths of the DS4’s pretty exterior, also translate into weaknesses and compromises inside the car as the lower roofline and coupe styling results in large rear pillars which makes the rear seats of the DS4 a pretty dark and oppressing place to sit. The great coupe styling, also lead to Citroen stretching the rear doors, so much so that the glass is actually bigger than the doors, so it cant be wound down, or even hinged outwards and that’s not something we liked at all. Citroën says that changing the glass would have spoilt the cars looks, and ok, that’s fine and dandy for Citroën to say, but the DS4 is certainly not a car to get in the back of if you suffer from even slight claustrophobia. Citroën to be fair try to create a feeling of space and make up for it a bit, by extending the windscreen back further into the roof to give what Citroën call a “panoramic view” and stop you going stir-crazy, but its something you’re going to have to make your own mind up about, but for me, the non opening rear windows, could very easily be a deal breaker. One final point or should I say “moan” about the rear doors is that the pointed trailing edge of the door is really high and its just so easy to clout yourself with the door when opening it and if you’re a child, or a touch on the short side that could easily be to your face and could be very dangerous (all in the name of styling). Inside the DS4 there is room for 5 adults and the seats are comfortable, although we did feel a touch cramped in the back, as for starters, it’s not a huge space and that was made even worse because there wasn’t any room beneath the front seats for us to tuck our feet out of the way. Storage is reasonable and the DS4 has large door pockets and a decent sized centre console, which is cooled (so your Chablis, or Coke wont get too hot) and for a bit of ‘secret storage’ there are hidden drawers under each front seat. For the bigger stuff you need to carry, the DS4 has a decent sized boot and whilst it’s not massive, it’s still hugely practical at 370 litres, which means it’s bigger for example than what the new VW Golf can offer. Citroën are renowned for building comfortable cars and in large part they achieve that by putting the cars handling second on the list. The DS4’s handling couldn’t simply be a carry over of the C4, so Citroën breathed on the cars chassis and suspension, just like they did for the uber successful and fun to drive DS3, but in this case, they must have been just a little short of breath as they’ve produced a car with a foot in either camp as its far less exciting than the DS3, but to be fair we found it nicely edgy and unsettled when we pushed it hard and this was enough to make shoving it around twisty country roads a bit of fun, whilst the wider tyres gave us enough grip to know that something unexpected or silly wasn’t going to happen. Engine wise, three petrol units are on offer, a VTi 120, a THP 155 EGS6 and a THP 200ps unit and clearly, the 200 brake motor is going to be the big fun giver, even though you pay for it with a 149 g/km Co2. Go diesel and both motors come with Citroëns Diesel Particulate Filter system and clearly, the PSA family HDi 110 unit is going to give you the best of both worlds, whilst the HDi 160 which was fitted in our test car, will bring a smile to both your face and your wallet. There are 3 trim levels available, with the DSign being the lead in model and ringing the tills at £18,150 on the road for the 1.6, whilst DStyle is the mid-range offering that prices between £20,150 and £22,950 depending on engine and transmission choice. Top of the range is the DSport in THP 200 petrol at £23,650 or £23,950 for the pokey HDi 160 diesel. Like every car we seem to test these days, the options list is massive, with expensive items like Sat Nav costing almost £1200 and just a quick trip down the options list showed that even on the highest spec DSport model you could easily throw another £4,000 or so at it to get the car to the exact spec you want, which could mean a £28,000 DS4? Safety is pretty much a given on modern cars and that’s no different here, with all the familiar initials such as EBF, ABS, ESP all present and correct and with a swish ‘intelligent’ traction control system that’s described by Citroën as a world exclusive, the DS4 easily achieved its maximum 5 Star N-Cap Euro Rating. So where are we with this car? Well, all the way through our road test of the DS4, we came across compromise. Firstly it’s a compromise between being a pretty coupe, or a crossover suv or perhaps a practical 5dr family hatch. Its coupe styling means there are compromises on the cars interior and the non opening rear windows clearly highlight this. On the road, its ride and handling is a compromise between comfort and performance. It isn’t a thrill a minute ride, but its firmer suspension delivers enough involvement to let you enjoy driving the car both on the motorway and round tight twisty lanes and whilst it’s not a thrill a minute ride, it is a comfortable and capable performer that’s going to blow the socks off 90% of drivers who get behind the wheel, without shaking your passengers to death. So “compromise” what does that mean? I was always been told it was good to compromise, it was good to arrive at a decision or perhaps a course of action that pleased everyone and that it was clever to compromise to keep everyone happy. Well we think that’s exactly what Citroën have done here, they’ve been clever and they’ve “compromised” but in doing, they’ve arrived at what’s best for everyone and produced a car that’s going to tick just so many boxes for so many people. They DS4 doesn’t alienate the guy who just wants a practical and comfortable car that rides well, or the fella that wants to race his car around twisty country roads, or Mr Normal who simply wants a good looking well built practical and versatile car for his family, and this reminds us that the word compromise also means ‘to give and take’, or ‘to reach agreement’ or to ‘co-operate’ or ‘to find the middle ground’. So I guess the question is, would you like a car that’s absolutely excellent at any one thing, or pretty damn good at everything? There is no doubt that Citroën are on to something here. The DS range is more sparkly than other cars in the Citroën range and whilst none of the Citroën model line up lacks personality, the DS range adds attitude and sends a message that you’re not just driving this car by accident, but that you know what you want and have chosen a car that’s refreshingly different and possibly, that you are smart enough to know that the world is a better place with compromise. So all in all, we liked the Citroën DS4, it was a car you could live with long term and for sure, whilst there were things that annoyed us, there was much about the car we loved, so I guess even we could even learn to compromise and forget the fact that the rear windows didn’t open! For a quotation on the Citroën DS4 or any other Citroën, please do not hesitate to contact us.